The California Supreme Court ruled on Thursday that an undocumented Mexican immigrant should be licensed to practice law in a closely watched case on immigration rights. The unanimous ruling in favor of Sergio Garcia came after California legislators passed a bill last year that specifically authorized the high court to allow qualified applicants into the state bar, regardless of their immigration status. California Chief Justice Tani Cantil-Sakauye wrote that current immigration policy makes it "extremely unlikely" that a law abiding individual such as Garcia would be deported. "Under these circumstances, we conclude that the fact that an undocumented immigrant's presence in this country violates federal statutes is not itself a sufficient or persuasive basis for denying undocumented immigrants, as a class, admission to the State Bar," she wrote. A U.S. Department of Justice spokeswoman declined to comment, and attorneys for Garcia could not immediately be reached. Nicholas Pacilio, a spokesman for California Attorney General Kamala Harris, applauded the decision. 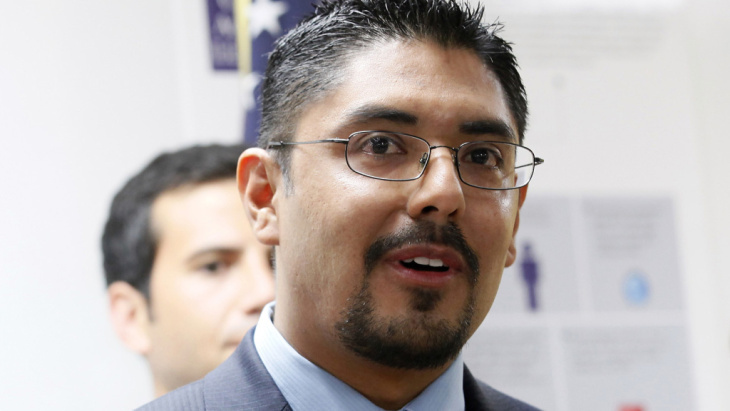 "California's success has hinged on the hard work and self-sufficiency of immigrants like Sergio," Pacilio said. Last year the Democratic-led U.S. Senate approved a path to citizenship for millions of immigrants living in the United States illegally, but the Republican-controlled House of Representatives has not yet taken up the legislation. Meanwhile, California Governor Jerry Brown signed a series of immigrant rights bills last October. In addition to the legislation paving the way for the state Supreme Court to authorize undocumented immigrants for the bar, other new laws prohibit law enforcement officials from detaining immigrants based on federal government instructions - except in cases of serious crimes or convictions - and make it illegal for employers to retaliate against workers on the basis of their citizenship. Garcia was an infant when he came to the United States and lived here until the age of 8 or 9 and then returned with his family to his native Mexico. At 17, Garcia reentered the United States with his father, who was then a permanent U.S. resident and later became a citizen. His father filed a petition seeking an immigrant visa for Garcia in 1995. Garcia is still waiting to receive the visa, which would allow him to seek permanent residency and ultimately citizenship. Garcia earned a law degree from Cal Northern School of Law in Chico, California, north of Sacramento, and passed the state bar exam. The U.S. Department of Justice had argued in legal filings that even if Garcia obtained a license, he still wouldn't be allowed to be paid as a lawyer in many circumstances. Yet Cantil-Sakauye wrote that those concerns shouldn't stop Garcia from becoming an attorney in the first place. That an individual is in the U.S. without legal authorization does not "demonstrate moral unfitness," Cantil-Sakauye wrote, "or prevent the individual from taking an oath promising faithfully to discharge the duty to support the Constitution and laws of the United States and California." The case in the California Supreme Court is In re Sergio C. Garcia on Admission, S202512.